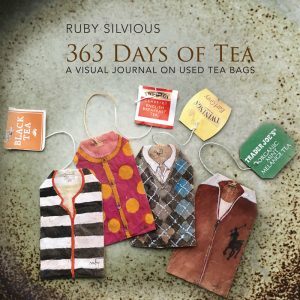 Mascot books announces new releases for September 2016.
by Ruby Silvious 363 Days of Tea is a coffee table book by Ruby Silvious. Follow the author’s 363-day journey across the world as she creates artwork using tea bags. 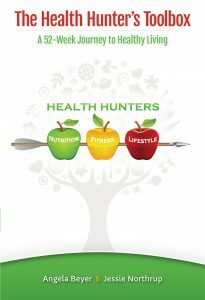 by Jessie Northrup and Angela Beyer The Health Hunter’s Toolbox is a health and fitness guide that will help readers get closer to achieving a healthy lifestyle. Both fitness novices and professionals can follow along with this 52-week guide to healthy living without making drastic changes overnight. by Kate Abbott Burke’s Garden, a historic community in the mountains of Virginia, is an isolated place. For centuries, it’s been a haven of peace. Until evil arrives. Close friends Phoebe and Moises are hiking near the Garden when they encounter several participants of a yoga retreat, who are struggling to flee the grip of their megalomaniac leader. Phoebe and Moises plot an escape route out of their love—and empathy—for these strangers. Along the way, they reach for the helping hands of the Garden’s longtime residents and the subtle hand of the supernatural. 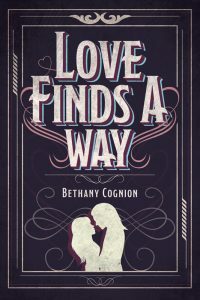 by Bethany Cognion This is not your typical romance. The pretty girl doesn’t fall “head over heels” for the handsome boy. Nicola Pask and Duff Morre are just about as unconventional as a couple can get. They are flawed and broken people after the war, but have somehow found love, understanding, and solace, despite everyone else not being on board. Even though she loved this world, she had seen the good, the bad, and the ugly of it with firsthand experience. She had been held captive, beaten, and then saved her professor who would turn out to be her “knight in shining armor” a couple months later. 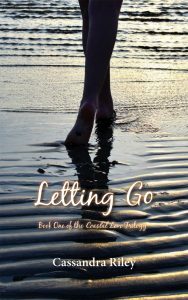 by Cassandra Riley Letting Go by Cassandra Riley is the first book in the Coastal Love trilogy. When Jasmine meets Ben, her life changes forever. But what does the future for these two hold? 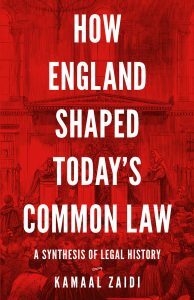 by Kamaal Zaidi How England Shaped Today’s Common Law is a legal history that spans Western Europe and North America. Kamaal Zaidi offers a complete survey of the Western history of common law, connecting the beginnings of the legal system with the modern law of the United Kingdom, the United States, and Canada. The book offers a history of transformations in law policy to deliver a new perspective on modern law practices. 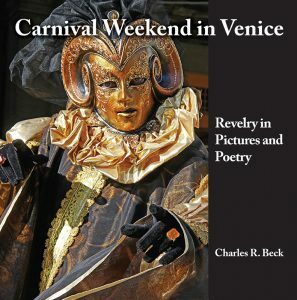 by Charles Beck Carnival Weekend in Venice is a photographic book of poems by Charles R. Beck. 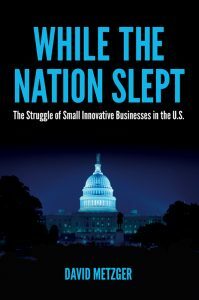 by David Metzger Small, innovative firms struggle to survive in this country. Most people who do not work with them or for them learn about these firms from newspaper articles, which focus almost exclusively on the success stories and those that made it to large firm status. The struggles of these smaller firms are largely invisible, like the ferocious fight for survival of smaller fish that takes place below the seemingly idyllic surface of a pond. The beginning of the solution is to see clearly the contributions of these small firms. The contributions listed in this book are but a small slice of the total contribution these firms have made to agency missions and the nation’s improvement. Once these contributions are clearly understood, solutions will follow. The purpose of this book is to shed light on the struggles of these firms, and the contributions they make. 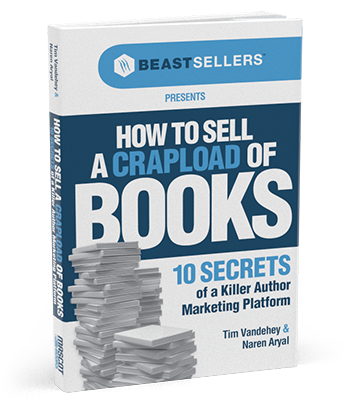 If the book meets that goal, then attention to one, some, or all of these recommendations will follow. In short, the goal is to wake up the nation to a struggle we need to recognize, and to leap to our feet as a country to assist. 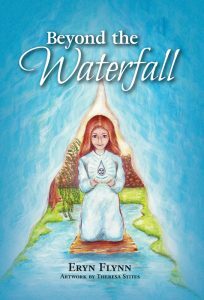 by Eryn Flynn Beyond the Waterfall is a young adult fantasy novel that follows Kyla Marine as she embarks on a mysterious journey through a secret passageway on her school grounds. When she crosses into the new world, she hopes she’ll find the answers she’s been missing. 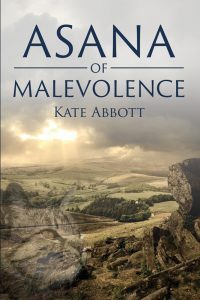 Instead, she only has more questions as her life and the life of her best friend are put into danger. 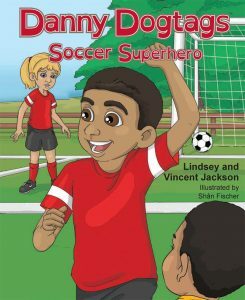 by Lindsey and Vincent Jackson Danny Dogtags: Soccer Superhero is a children’s book by Lindsey and Vincent Jackson. Join Danny as he learns about living a healthy and active lifestyle. Danny Dogtags: Soccer Superhero is the second book in theDanny Dogtags series. 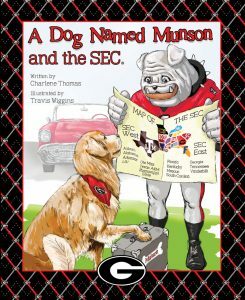 by Charlene Thomas After Munson the Golden Retriever finds spends a day with the University of Georgia dawgs, he and Hairy Dawg decide to visit other schools in the Southeastern Conference. Join them as they meet all the teams the Bulldogs will play! 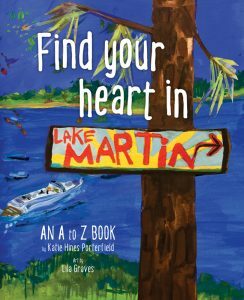 by Katie Porterfield Find Your Heart in Lake Martin is a children’s people and places book about Lake Martin, Alabama. Early readers can follow along from A to Z to learn all about the beautiful Lake Martin, its history,and why people love it. by Robin A. 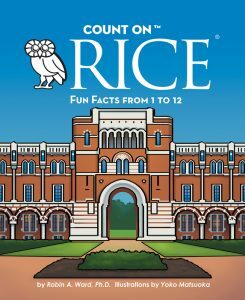 Ward, Ph.D. Come to Rice and count with me! You’ll learn things, too. 1, 2, 3! 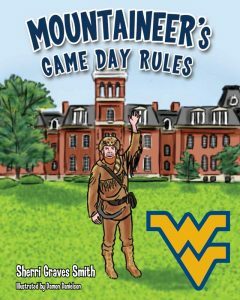 by Sherri Graves Smith Follow West Virginia University’s mascot, the Mountaineer, as he shows the manners, traditions, and fun activities the West Virginia way! 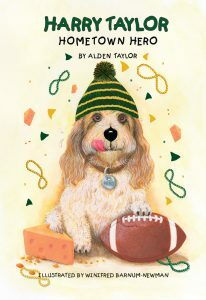 by Alden Taylor Harry Taylor: Hometown Hero by Alden Taylor is a children’s picture book about Harry and his Green Bay Packers pride. 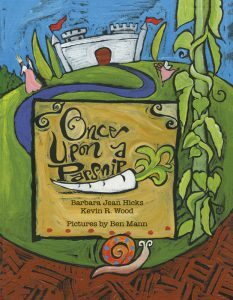 by Barbara Jean Hicks and Benjamin S. Mann Once Upon a Parsnip is a children’s book by Barbara Jean Hicks and Kevin R. Wood, with illustrations by Ben Mann. When Mr. Wolf runs into Little Red at the Fairytale Market, his devious plan to catch the three pigs is at risk. Will Little Red be able to stop Mr. Wolf? 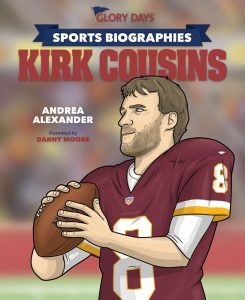 by Andrea Alexander Sports Biographies: Kirk Cousins from Glory Days Press is a biographical children’s book about one of Major League Football’s biggest stars. Designed to help kids fall in love with books, young readers can advance their vocabulary while learning everything there is to know about Kirk Cousins’ life. 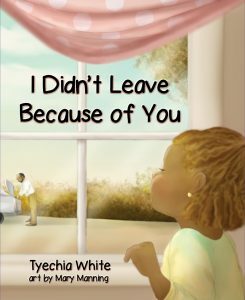 by Tyechia White I Didn’t Leave Because of You is a children’s book by Tyechia White. 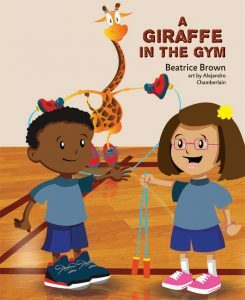 by Beatrice Brown Brandon hates getting up for school in the morning, but the day there’s an unusual visitor in gym class, it might just be worth it! 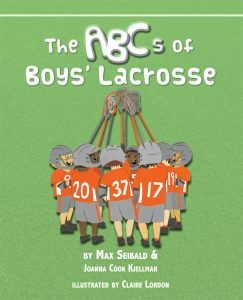 by Max Seibald and Joanna Cook Kjellman The ABCs of Boys’ Lacrosse is a sports and recreation children’s book that teaches readers about one of America’s fastest growing sports. Follow along the alphabet to find out everything there is to know about boys’ lacrosse from A to Z! 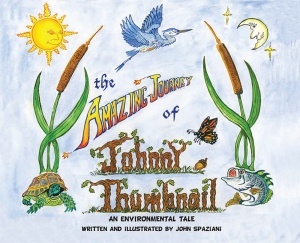 by John Spaziani The Amazing Journey of Johnny Thumbnail is a children’s nature book that helps kids understand the importance of preserving our environment. Follow along with tiny Johnny Thumbnail as he journeys with animal friends to find someone who can help him save the environment and natural world. 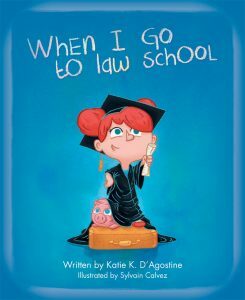 by Katie K. D’Agostine When I Go to Law School is a children’s book by Katie Kilberg D’Agostine. Following in the footsteps of her grandpa, a little girl dreams of going to law school one day. With her trusty pig beside her, will she make it? 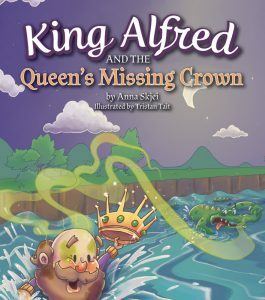 by Anna Skjei King Alfred and the Queen’s Missing Crown is a children’s fairy tale that follows King Alfred on his quest around the castle to find his wife’s beloved crown. When King Alfred finds the crown in a troubling spot, it’ll take some quick thinking and a creative plan to get it back. by Leonard A. 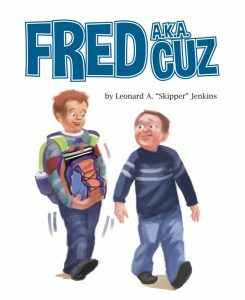 “Skipper” Jenkins Fred A.K.A Cuz is a children’s book by Leonard “Skipper” Jenkins. Join Fred as he learns about the three Ds: Divorce, Disease, and Death. by Blaine Harris Will the legacy of Palo Duro Canyon live on forever or drift away in the panhandle wind? With the help of a brave young coyote and a magical buffalo these tales will now live on forever. 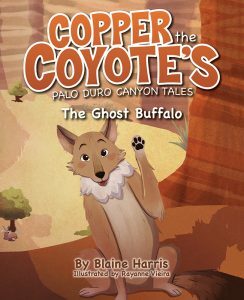 Come along with Copper the Coyote as he shares his secrets about Palo Duro Canyon. 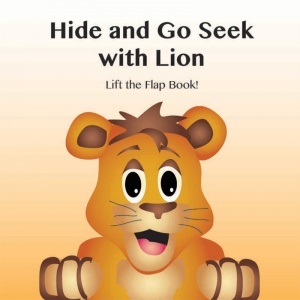 by Jan Ferguson Hide and Go Seek with Lion is a children’s board book by Jan Ferguson. Join Lion as he searches for each of his friends! 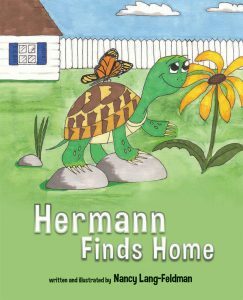 by Nancy Lang-Feldman Hermann Finds Home is a children’s animal book about a Hermann’s tortoise who wants to find his way home. When Hermann accidentally gets lost and separated from his owner, he goes on an adventure and makes unexpected friends along the way. DARLENE THE DRAMA QUEEN – RAISES THE CURTAIN ON CONFIDENCE! 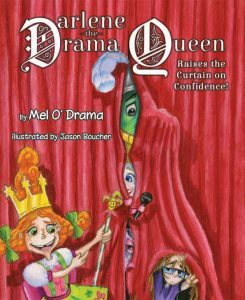 by Mel O’ Drama Take the stage with Drama Queen in Drama Land! Learn about feelings with drama and play. You’ll feel braver and stronger by the end of your stay. 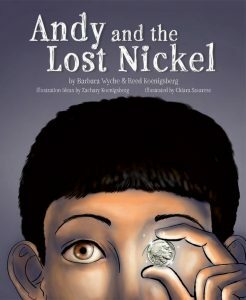 by Barbara Wyche and Reed Koenigsberg Andy and the Lost Nickel is a children’s social themes book about friends and family. When Andy loses the special coin his grandfather gave him, he and his two friends must work together and rely on the kindness of strangers to get it back. 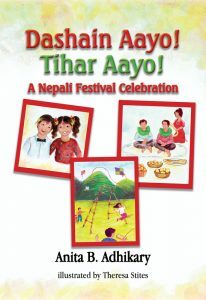 by Anita Adhikary Celebrate Dashain and Tihar, two of the most important festivals in Nepal! Learn about the history and traditions of these wonderful holidays that children look forward to all year long. by Jamie DiCarlo Go on an adventure learning your ABCs with The ABCs of Being a Pirate! You’ll learn what it takes to become a pirate while learning your ABCs too! 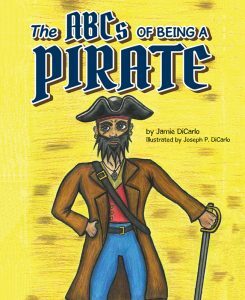 From beards and captains to walking the plank, this book offers fun for young readers. by Steve Wachtel Imagine waking up one day and finding out that you have lost part of yourself! Johnny Peters did just that when he woke up without his smile. And no one can seem to find it! 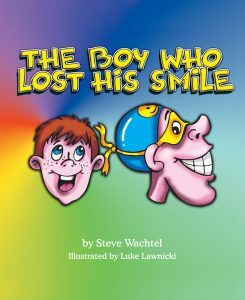 Join Johnny in his sad search and find out if he’ll ever be able to smile again. 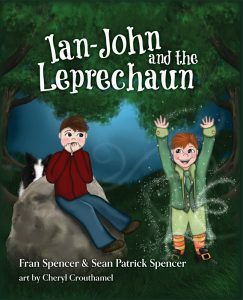 by Fran Spencer and Sean Patrick Spencer Ian-John and the Leprechaun is a children’s fantasy and magic book about a young boy who must go on a search for his missing sheep. When Ian-John encounters a tricky leprechaun, his adventure begins. 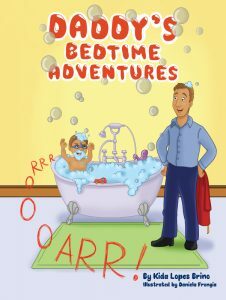 by Kida Lopes When Daddy is in charge of the bedtime routine, all sorts of fun can happen! Follow along through the eyes of a little boy to see what’s in store before bed, then follow along through the eyes of his daddy! The world you create with your daddy is always a special one, no matter how you look at it. 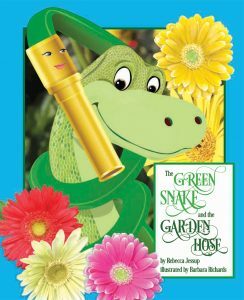 by Rebecca Jessup In a magical garden, a lonely little green snake makes friends with Hose. Writing in rhyme, Rebecca brings to life a wonderful story of friendship and acceptance. MAMA, MAMA! WHICH ANIMAL SHOULD I BE? 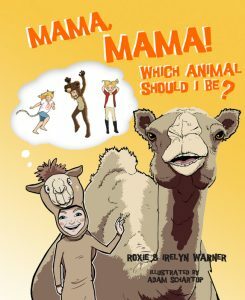 by Roxie Warner What animal would you be? In this story, a small girl imagines all the different animals she could dress up to be. Her imagination runs wild from A to Z! 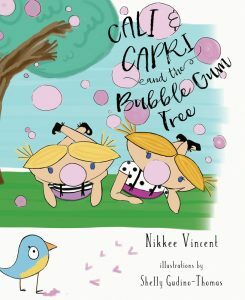 by Nikkee Vincent Cali and Capri and the Bubble Gum Tree is a rhyming environmental children’s book that helps young readers learn they shouldn’t litter. When Cali and Capri throw their bubble gum on the ground instead of in the trash can, strange things start to happen in their favorite park. 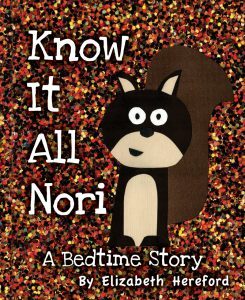 by Elizabeth Hereford Join Nori and Daisy for a bedtime story that gets a little silly! Daisy does her best to tell a great bedtime story, but Nori just can’t help adding in her own twists! 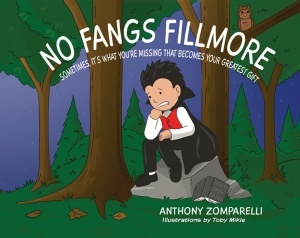 by Anthony Zomparelli Victor “No Fangs Fillmore” has a beautiful smile. It’s just missing fangs! Being a vampire with no fangs can be tough. Will Victor ever find a use for his fangless smile and finally feel like a real vampire? 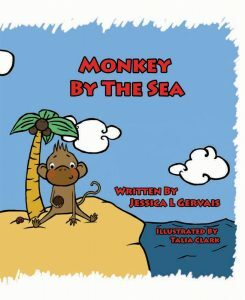 by Jessica L Gervais Monkey by the Sea is a cute and captivating story about being different. In a subtle and loving way, Monkey’s mom teaches him the importance of being different, and also to accept others for their own differences. 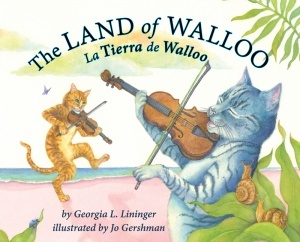 by Georgia Lininger Visit the wonderful Land of Walloo (or La Tierra de Walloo for our Spanish speakers!) in this fun tale full of imagination. There you’ll find cats who play the fiddle, llamas who climb trees, and so much more! 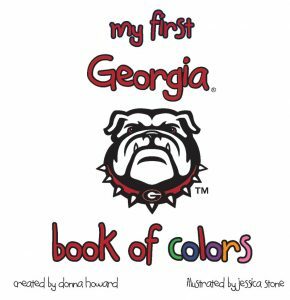 by Donna Howard Learn your colors the Georgia way with this University of Georgia book of colors! 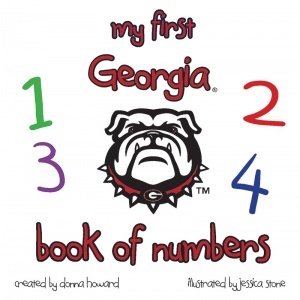 by Donna Howard Learn your numbers the Georgia way with this University of Georgia book of numbers! by Donna Howard Learn your shapes the Georgia way with this University of Georgia book of shapes! 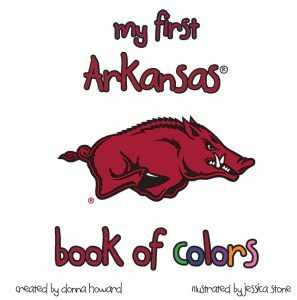 by Donna Howard Learn your colors the Arkansas way with this University of Arkansas book of colors! 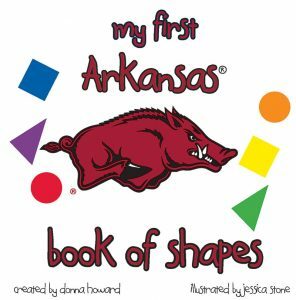 by Donna Howard Learn your shapes the Arkansas way with this University of Arkansas book of shapes! 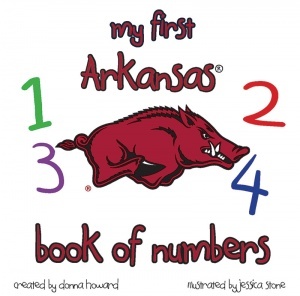 by Donna Howard Learn your numbers the Arkansas way with this University of Arkansas book of numbers! 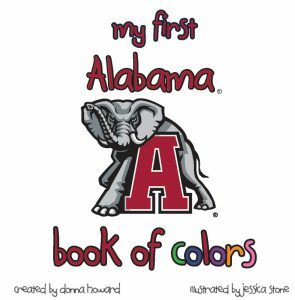 by Donna Howard Learn your colors the Alabama way with this University of Alabama book of colors! 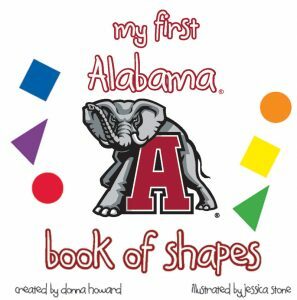 by Donna Howard Learn your shapes the Alabama way with this University of Alabama book of shapes! 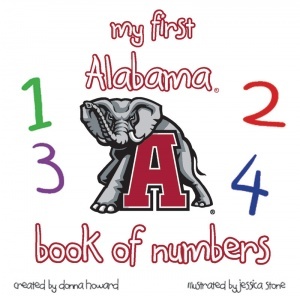 by Donna Howard Learn your numbers the Alabama way with this University of Alabama book of numbers!